"The Rise and Fall of Liberty"
(dir. Carol Thomson, edited by Jim Haverkamp, 2017, 52 min, USA, in English, Color, Digital). When developers in Durham, NC, demolish an iconic tobacco auction house in the name of revitalization, they not only displace a community of artists, they also threaten the soul of the community. 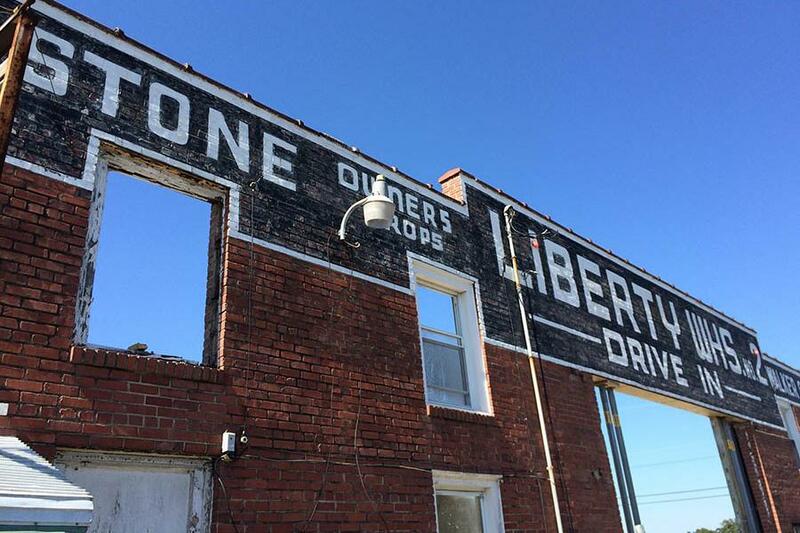 This documentary film examines the ebb and flow of Liberty Warehouse's 80-year lifespan, draws parallels with the evolution of downtown Durham, and reveals the often touching, interdependent relationship between the two. It also raises key questions about the tension between the drive for progress and the character of the city. Carol Thomson is an independent multimedia documentary producer and web developer based in downtown Durham. She is the recipient of the Ella Fountain Pratt Emerging Artists Award for her interactive documentary, "Bridging Rails to Trails: Stories of the American Tobacco Trail". Carol is also a former instructor at CDS (Duke). Jim Haverkamp is an award-winning filmmaker & editor based in Durham. He has worked as an editor on feature documentaries, including "SenCinema", "Rarefied", "Dancing with the Goddess", and "Monster Road". His filmmaking credits include short films "It Had Wings", "When Walt Whitman Was a Little Girl", and "Hot Dog Man: A Case Study".